One of the more interesting detecting teams on the scene right now is Janice Law’s medium Madame Selina, her young assistant Nip, and her spirit guide Marcus Aurelius. In addition to being a short story writer and award-winning novelist—The Prisoner of the Riviera, featuring British painter Francis Bacon, won a Lambda Award for best gay mystery of 2013—Janice Law is also a painter. You can view samples of her work at her Web site JaniceLaw.com. I had only done one series character before Madame Selina and her assistant. That was Anna Peters, who fought crime of one sort or another through nine novels. When I came up with an idea for a story about a nineteenth century medium in New York City, I assumed that the short story would be the beginning and end of her career. 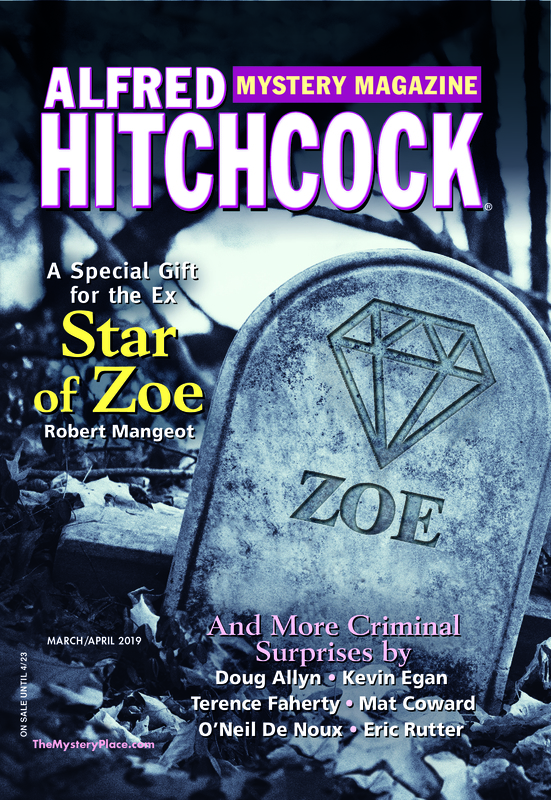 However, one of my Sleuthsayer colleagues, Rob Lopresti, not only liked the story but uttered the fateful words, “this would make a good series.” Who knows what triggers the subconscious? Pretty soon Nip Tompkins had more to tell me. As a result, there have now been eight stories and counting. Why these two characters and why New York just after the Civil War? Blame a long career in academe, teaching, among other things, 19th century American lit, which inevitably involved the history of the period. Madame Selina’s dual role of medium and detective has involved the big issues of the period: the carnage of the Civil War and its consequences, the coming of the Irish, the dangerous lives of African-Americans, Spiritualism and its debunkers, along with those favorite 19th century plot lines, endangered heiresses and fiscal chicanery. As for the characters, Madame Selina came from an interest in the medicine and psychology of the period, odd mixes of science and superstition. Nip was another matter. Occasionally a character is just a gift, a quiet voice in the ear. An orphan sprung from the ghastly Orphan Home to assist in the illusions of the seances, Nip has a good heart, a sense of humor, and considerable ingenuity. I’ve found him a nice foil for the tricky yet sincere Madame Selina and an amusing narrator. Does Nip believe in Marcus Aurelius, her guide in the spirit world? He started out credulous—he was after all only eight years old. Then he grew skeptical, especially since keeping Aurelius up to date on railroad stocks and Tammany Hall required a good deal of leg work from him. But lately, he’s developed a more nuanced attitude. Although he has his doubts, he’s convinced that Madame Selina’s faith is genuine and he’s nervous until the late Emperor of the Romans answers her call.